Stop Fire! 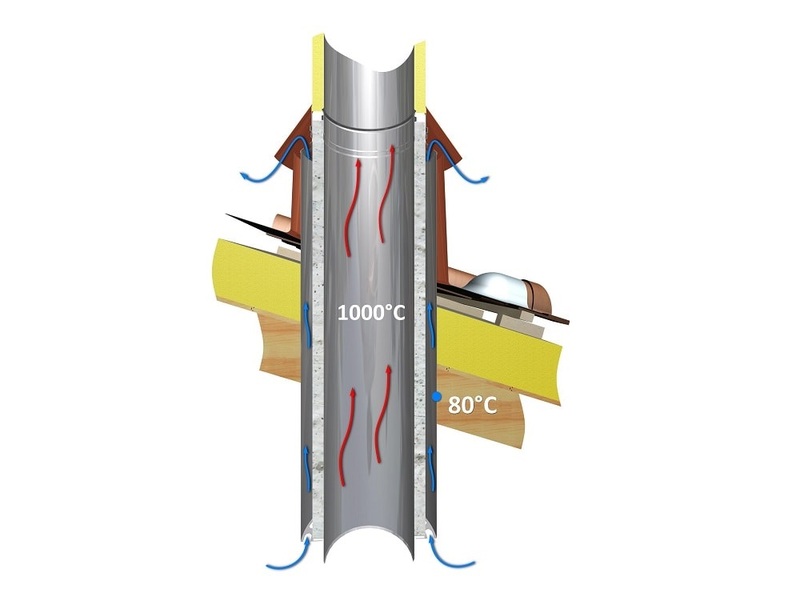 All operators in the heating sector are aware of that: the crossing of wooden roofs and slabs with metal pipes, chimneys and flues applied on biomass systems (wood stove ore fireplace), requires a proper and careful installation, in order to avoid any roof fire caused by the failure to respect the distance between the pipe and the adjacent combustible materials. Every year, thousands of fires occur because of chimneys that are installed improperly or that are not regularly maintained. STABILE S.p.A. has decided to invest some time and resources on this long-standing and well-known problem, in order to offer the market a product that could be useful, innovative, and practical and, above all, safe. The result is Micro Firestop, a roof-crossing element able to increase levels of prevention and protection from fire using new materials and thanks to innovative technical solutions. 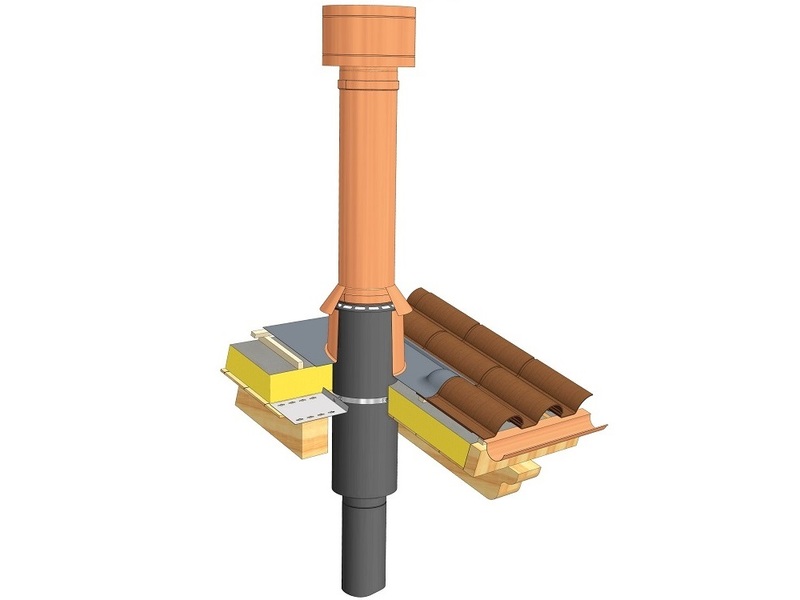 Micro Firestop is not just a roof-crossing element with an insulating and fireproof function, but it is an integral part of the chimney system: a real flue that you can install in direct contact with the wooden roof or slab, which is really important for technicians who can get their work simplified and improved during design and installation. 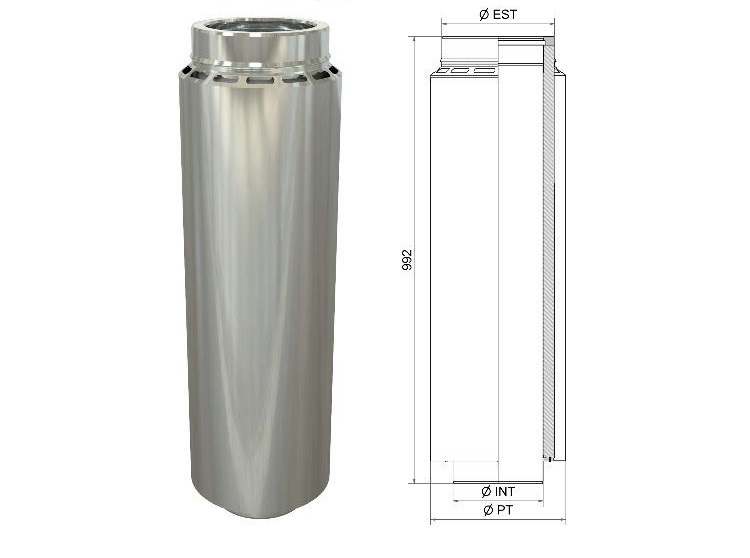 This dual function (fire prevention – flue system) allows Micro Firestop to ensure a significant reduction in the external diameter: up to 40% less than a traditional system. A strength that guarantees less limitations at the operational level and greater freedom of intervention when space is limited. 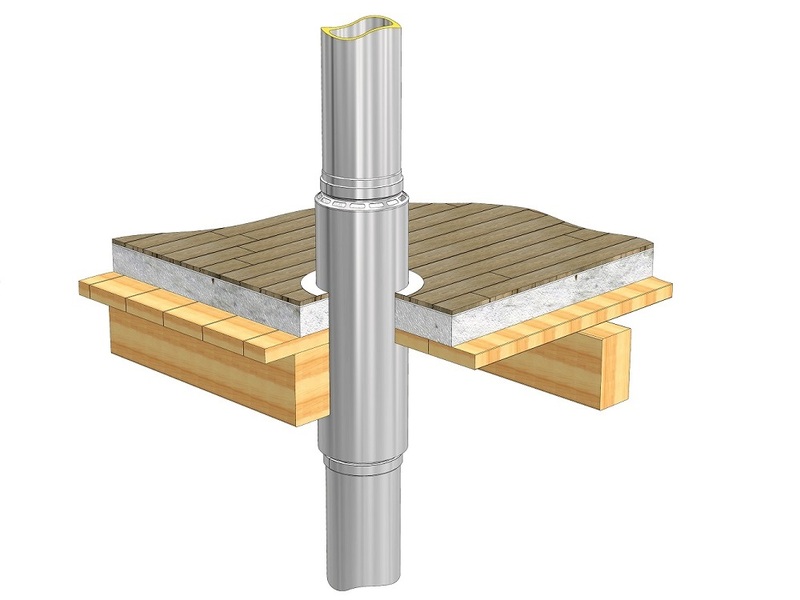 In case of chimney soot fire (1000° C inside the duct), Micro Firestop ensures a contact temperature with the adjacent wood of 80°C, which is compliant with the EN 1859. 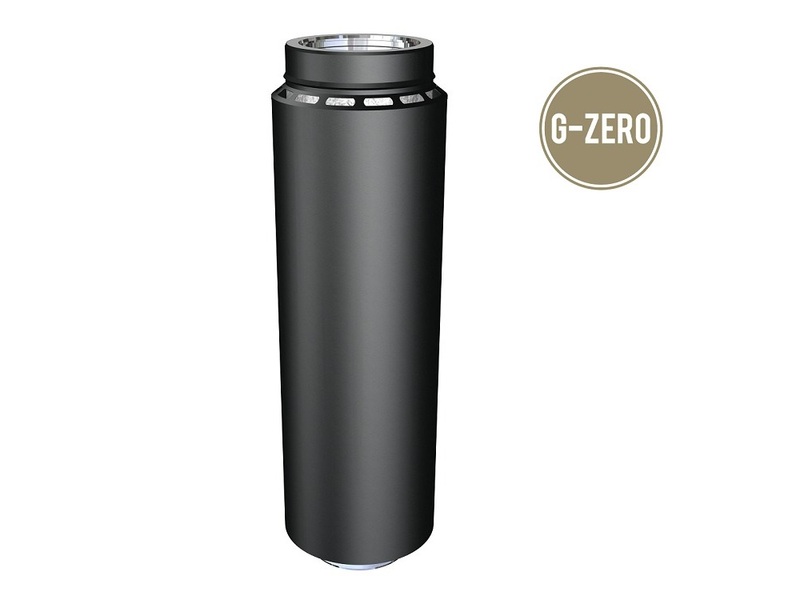 Therefore, a reduction of the high temperatures of more than 90%, which is mainly due to the interaction between the performance of the innovative internal insulating material and the peripheral ventilation system. The Micro Firestop is composed of: an internal pipe in stainless steel AISI 316L, that allows the flue gas flow, coated by a high density insulating microporous cupel; a ventilated interspace that allows a continuous air flow; an external coating pipe in stainless steel AISI 304, adhering to the wooden or slab. The height of 942 mm allows insulating the upper and lower areas of the slabs/ceilings, as given by the UNI 10683. Micro Firestop is compatible with all metal chimneys from STABILE S.p.A. in the diameters 80 mm, 100 mm, 130 mm, 150 mm, 180 mm, 200 mm and 250 mm. In order to meet the market requests at the very best, the Company has also taken into consideration the aesthetic aspect. That is why we propose Micro Firestop in two finishes: dull black and bright stainless steel. In order to offer a top flexibility and safety, STABILE S.p.A. has developed a line of accessories specific for Micro Firestop. The catalogue of this new product includes specific support bands, wall roses, flashings, storm collars to use for both flat, and (up to 45°) inclined roofs. The test reports of the element are certified by Istituto Giordano S.p.A. (test report nr. 344080). The sample has been tested in compliance with the UNI EN 1859:2013 and the UNI EN 1856-1:2009. The element is certified for being installed in contact with wooden slabs and inclined ceilings. Simplicity and safety: one single element installable in direct contact with roof or slab wooden surfaces.